Whatever your stage in camera use, your classmates will be right there with you in Sandhills Community College Continuing Education classes. Have fun, make new friends and learn how to better use your digital camera. Unleash your inner photographer in “Photography Bootcamp.” Say goodbye to “Auto” and learn the fundamentals of photography. Dive in and get comfortable with all the dials, modes and menus on the camera. The afternoon is set aside to practice what we’ve learned and create beautiful images. You will see best results if your camera is less than five years old. “Photography Bootcamp” will be held on Friday, Aug 24 from 10 a.m.-5 p.m. The cost is $75. Aperture, shutter speed and ISO, oh my! In “Understanding the Exposure Triangle,” transform snapshots into artistic images by using the advanced features on your digital camera and create photos with the WOW factor. 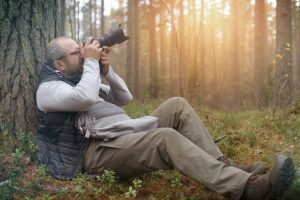 Your camera must have program, shutter speed, aperture and manual modes and you will experience best results if the camera is less than five years old. “Understanding the Exposure Triangle” will be held on Wednesday, Aug 29 from 1-5 p.m. The cost is $75. Take your photography to the next level by understanding the fundamentals of composition with “The Art of Seeing.” Together let’s discuss the difference between a mediocre shot and an award winning photograph by studying the elements of design. Discussion, lecture, field work and critique session are included. Train your eye to be a better photographer and watch the magic happen. “The Art of Seeing” will be held on Thursday, Aug 29 from 1-5 p.m. The cost is $75. Seats are still available for these classes. To register in person, stop by the Sandhills Community College Continuing Education office located on the first floor of Van Dusen Hall. You may also register by phone or with a credit card at (910) 695-3980. Registration hours are Monday through Thursday, 8 a.m. until 5 p.m. and Fridays 8 a.m. until noon. For more information on all Continuing Education Technology courses, visit technologytraining.sandhills.edu.